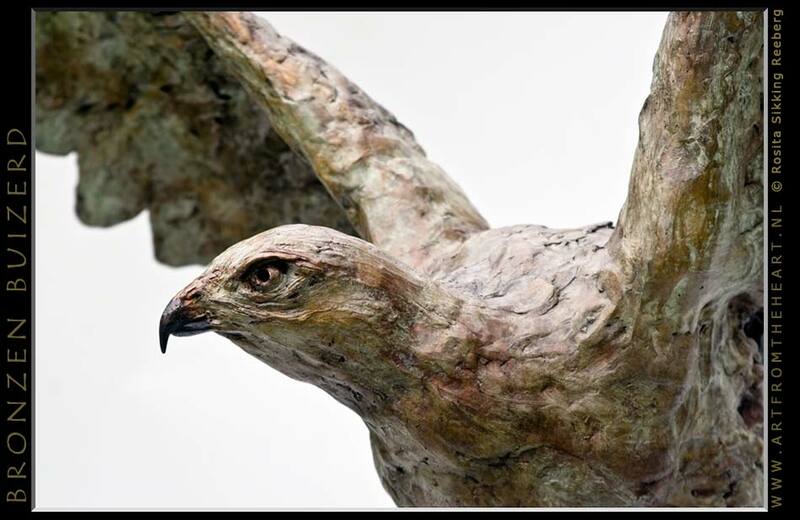 On a clear day in February we found the body of a female buzzard at the edge of a cornfield. 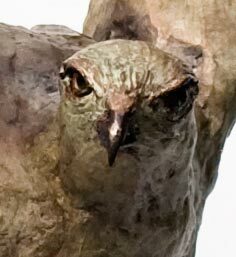 I was so impressed by the beauty of this great bird, that I decided to take her home and have her body stuffed. 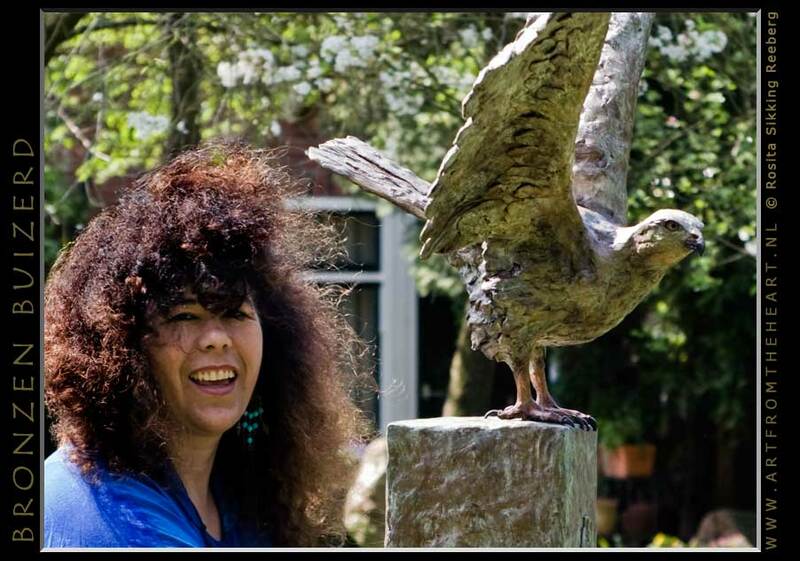 Finding this bird on my path also was of symbolic importance to me and I gave her a special place in my studio to inspire me with her presence. 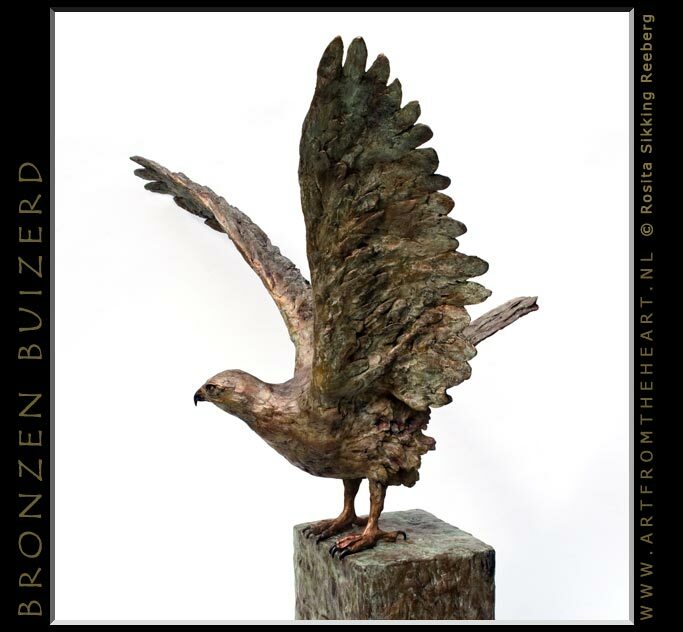 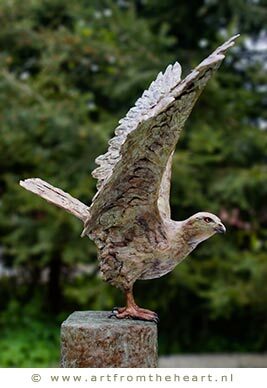 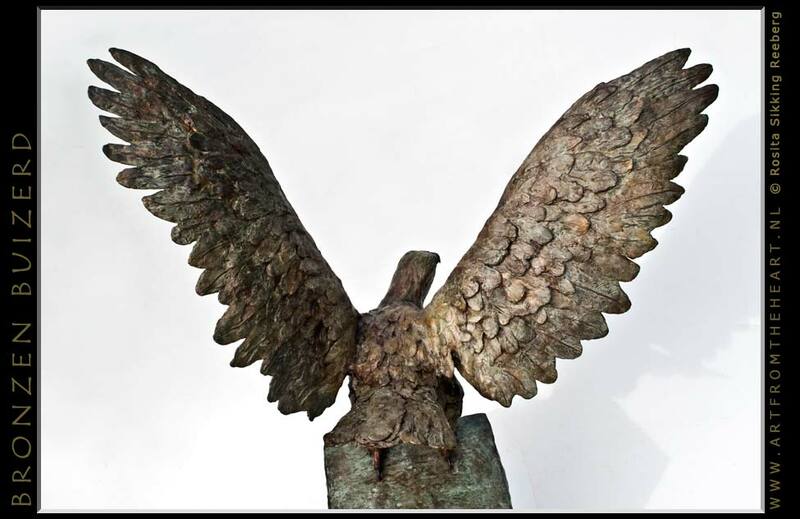 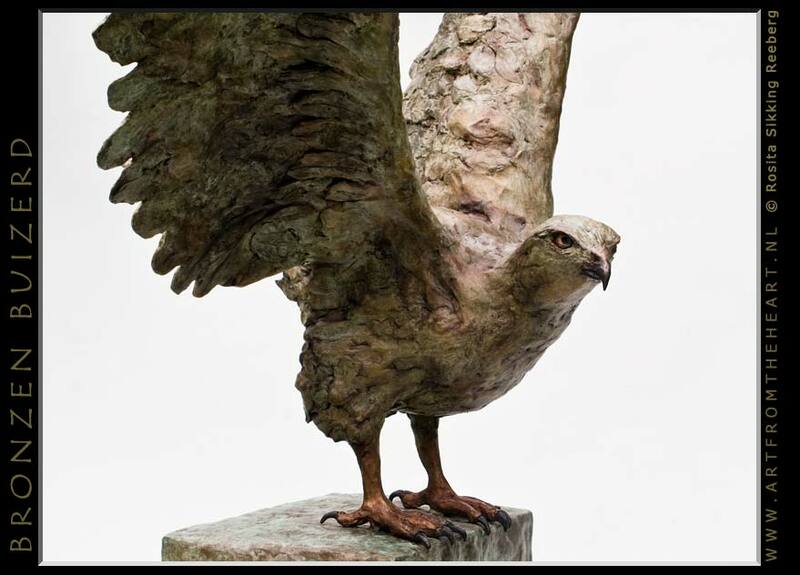 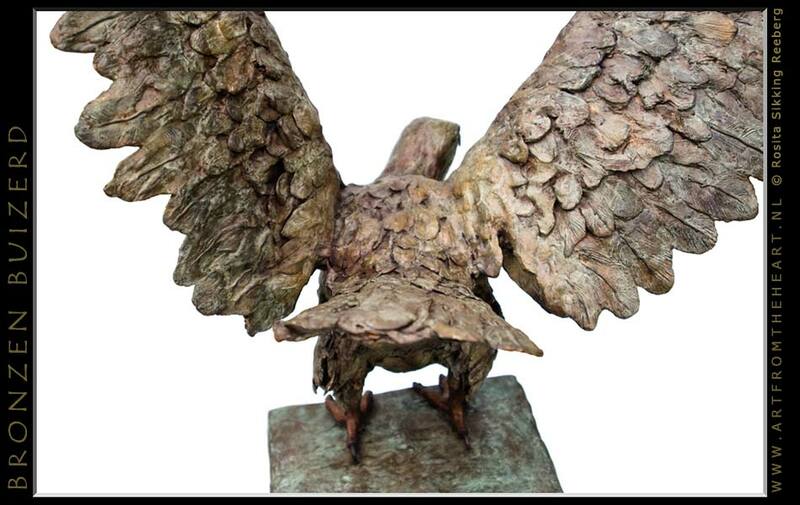 This bronze buzzard is a live size model and can be delivered with or without a bronze pedestal. 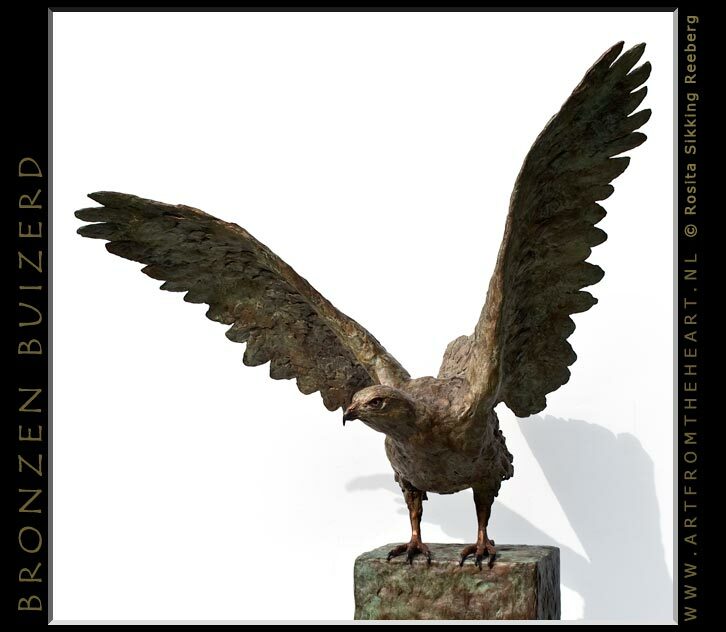 Any suitable matching bronze pedestal (a bowl or strunk f.e.) 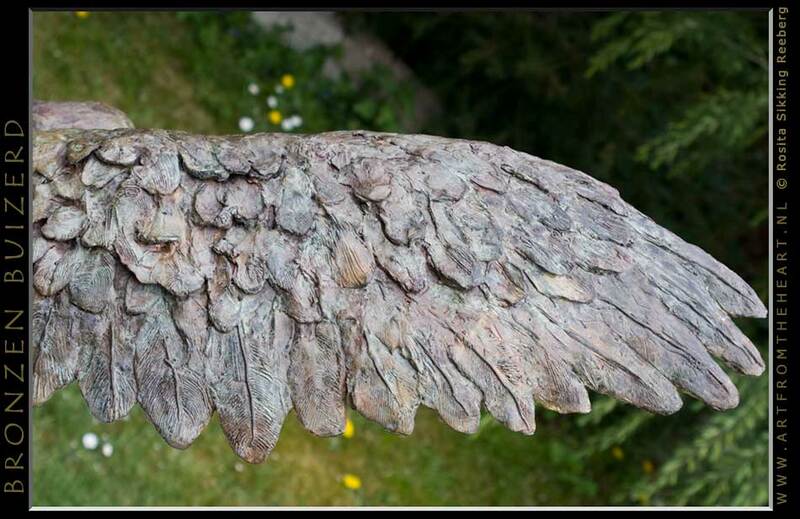 can be made on request. 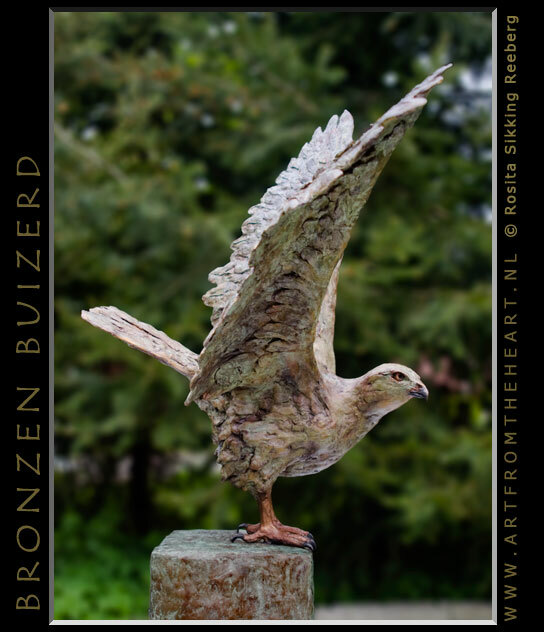 Buteo buteo is the latin name for a buzzard, a common bird in The Netherlands. 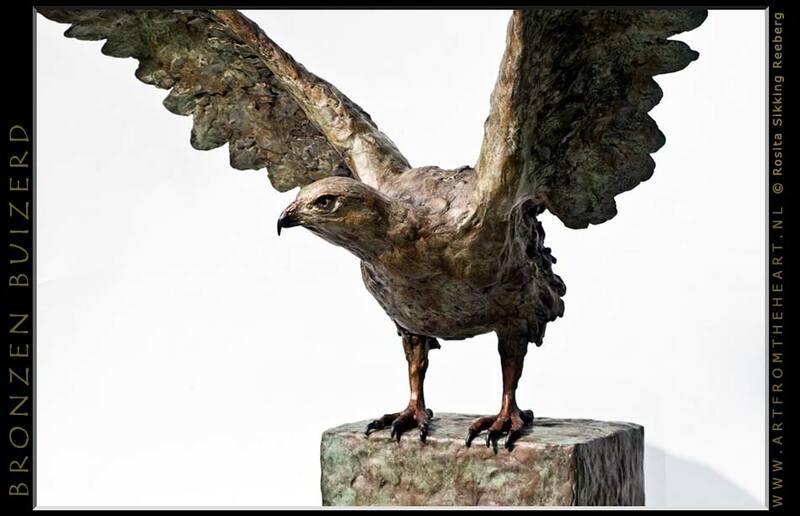 A female buzzard can reach a wingspan up to 140 cms. 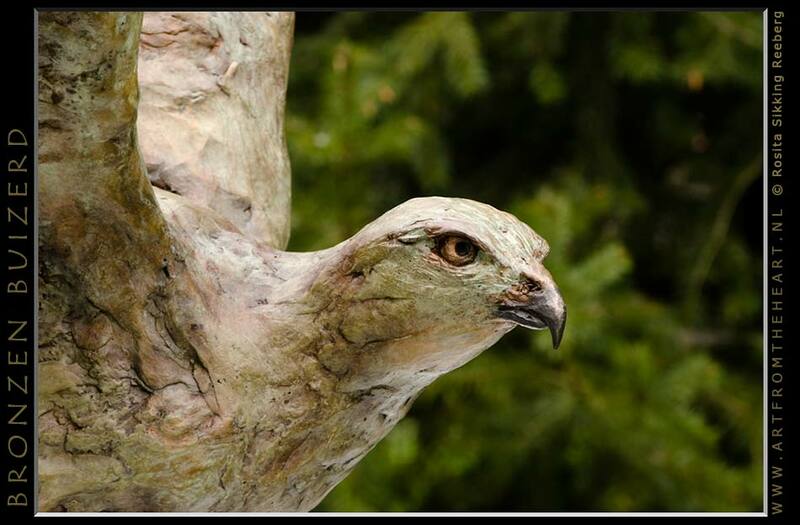 The colouring varies from very dark-brown up to off-white.